The Australian state government has approved of the construction of 150-megawatt structure in Port Augusta in South Australia, making it the biggest solar thermal power plant of its kind in the world. Work on the AU $650 million (US $510 million) plant is getting underway next year and is believed to be completed in 2020, adding to Australia's growing list of impressive renewable energy projects that already cover solar and tidal. Wasim Saman, sustainable energy engineering professor from the University of South Australia, said that the significance of solar thermal generation lies in its ability to provide energy virtually on demand through the use of thermal energy storage to store heat for running the power turbines. He added that that is a substantially more economical way of storing energy than using batteries. Solar photovoltaic plants convert sunlight directly into electricity, so they need batteries to store excess power for when the sun isn't shining. 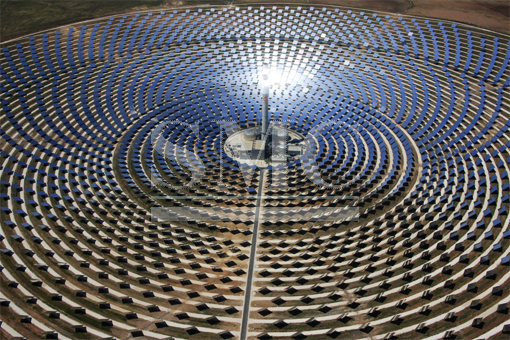 Meanwhile, solar thermal plants use mirrors to concentrate the sunlight into a heating system. Renewable energy sources now account for more than 40 percent of the electricity generated in South Australia, and as solar becomes a more stable and reliable provider of energy, the prices lower. The cost of the new plant is well below the estimated cost of a new coal-fired power station, giving the government another reason to back renewables. The cost-per-megawatt of the new plant works out about the same as wind power and solar photovoltaic plants. Solar thermal has been backed to the tune of AU $110million (US $86 million) of equity provided by the federal government.